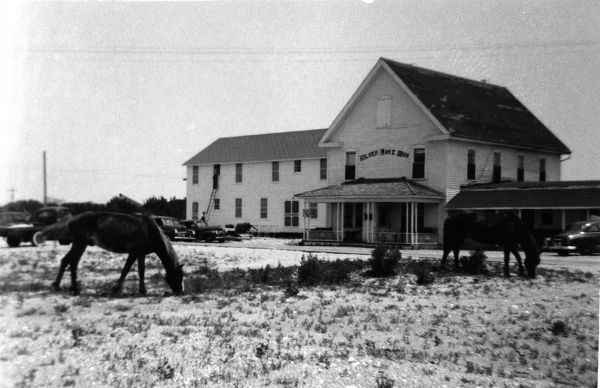 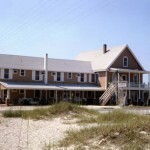 At the turn of the twentieth century, this tract of land was purchased by the Ocracoke Lodge of the Independent Order of Odd Fellows (notice the green street sign to the right of the Inn) Built in 1901, the upper floor of the main section was used as the meeting room for the Odd Fellows Lodge. 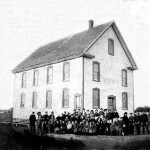 The lower floor was used as a schoolhouse. 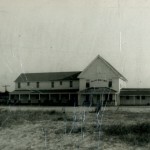 The Lodge was built between two tidal streams, or “guts”, that flowed from Silver Lake harbor (originally known as Cockle Creek). 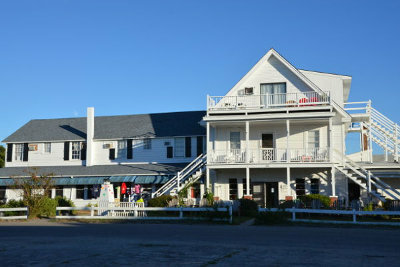 Foot bridges allowed passage from one side to the other. 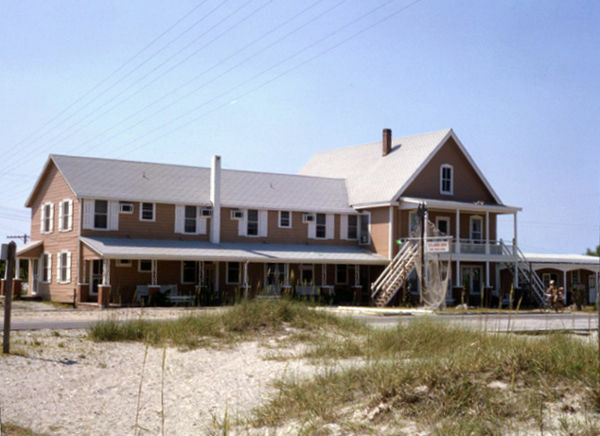 Both guts were filled in during World War II when the US Navy appropriated land near the Coast Guard Station for the naval base, and dredged the harbor to accommodate their larger draft vessels. 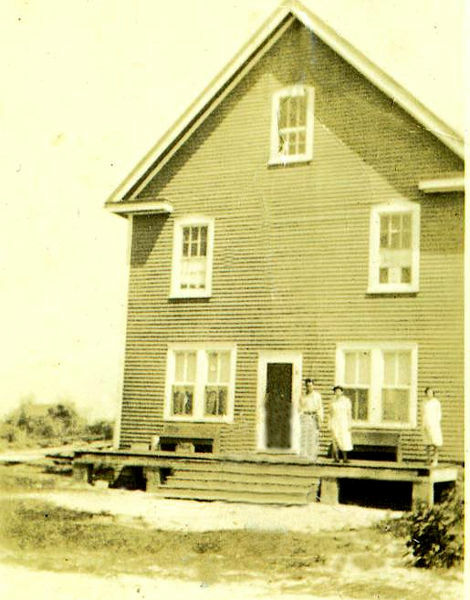 Quarters for Naval Officers (dubbed the Crows nest) were situated on the upper floor of the Lodge. 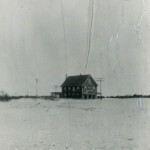 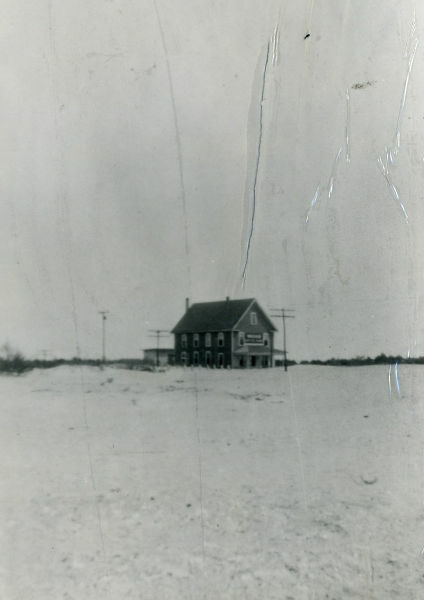 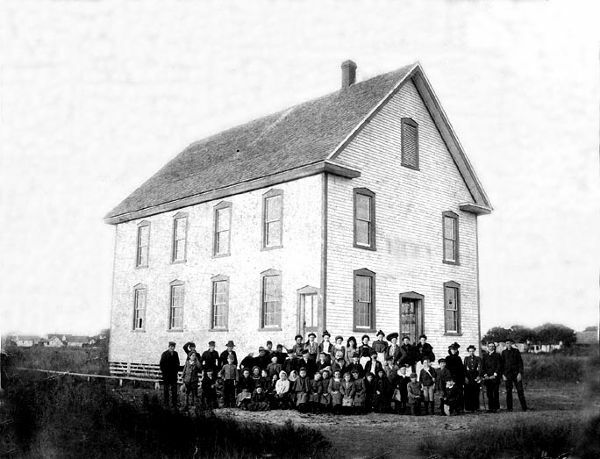 When a new schoolhouse was built in 1917 (on the site of the present day schoolhouse) the Lodge was disbanded and the building sold as a private residence. 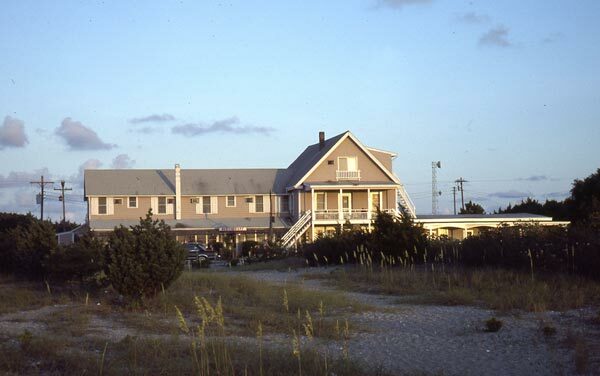 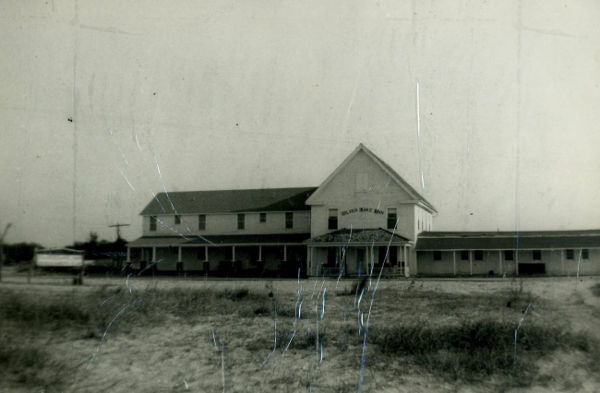 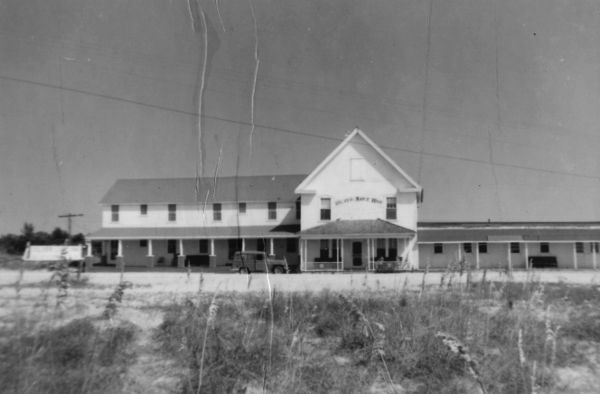 After World War II, side wings were added to create one of the island’s first modern hotels, the Silver Lake Inn. 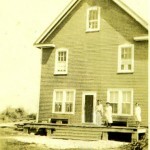 It had indoor plumbing, electricity, and a modern kitchen and dining room. 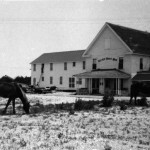 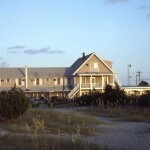 Every Saturday night, the Inn was the social center of Ocracoke village when it was used for island square dances. 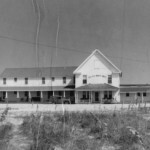 Local legend holds that a benign ghost, Mrs. Godfrey, still haunts the older section of the Inn.